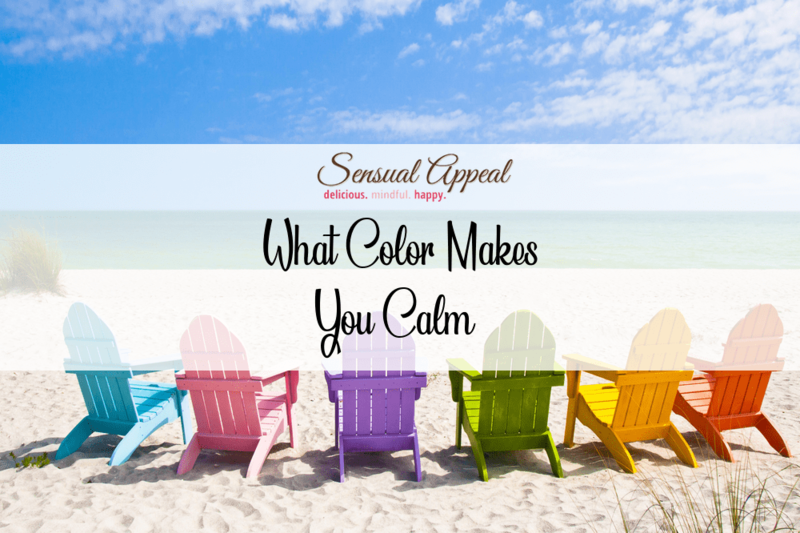 What Color Makes You Calm? A lot of people want to chill out and relax when they get home after a long day at work. After all, you might have been really stressed while at the workplace. You might have had a difficult client or had a heated discussion with your boss, so you need to unwind when you get home. But you might be surprised to know that your environment at home can have an effect on your mood. Related: How does meditation relate to your emotional health? For instance, if the room is really cluttered, you will struggle to find any peace when you get home. Your mind will feel cluttered and you won't be able to shake the stressed feeling. It can also put you in a bad mood before you leave the house in the morning. Also, if you have too much furniture in the room, you will also struggle to clear your mind. You need a spacious and open area where you can relax. Therefore, you should consider painting the room to ensure that you feel chilled and relaxed when you get home. However, you need to be careful to choose a color that works. Therefore, if you want to know what color makes you calm, here is a list so you can start decorating straight away. One color which you could go for if you want to have a relaxing and calming atmosphere is green. It's a fantastic color which will really help you to chill out after work. For one thing, the color symbolizes nature which can give you calming feelings. After all, nature is one of the most relaxing things you can be around. That's why people often go camping so they can get away from it all and feel calmer. Also, when you are around green, it can help you to stop feeling so anxious. A lot of people who have anxiety try and surround themselves with more green in their home. While all shades of green can be relaxing, the best ones to go for are yellowy greens which will ensure you stay calm. The best thing about this color is that it's quite unique. Your living room will look fantastic if you go for this color. Everyone loves the color yellow. After all, it reminds us of happiness and sunshine. It's a popular choice when you ask people their favorite color. There is also something good about the color yellow when it comes to decorating your home. For one thing, if you paint your walls yellow, you will feel a lot happier and full of energy when you are around it. Therefore, if you have had a rubbish day, yellow can give you the boost you need to feel a lot happier. This is also ideal when you are starting the day. If you go to work in a great mood, you will hopefully feel less stressed by the end of it. Also, being around yellow can make you feel a lot more motivated and ambitious. Therefore, you might do a lot better at work if you are around this color at home. If you have had a really stressful day, there's nothing better than coming home to a brightly colored room to lift your mood. There are lots of benefits to painting your room a luscious yellow. It can give your living room a touch of spring and summer joy, and yellow walls with white furniture will really look fantastic and help your home feel more modern. One of the best colors you can go for if you want to feel calm is a soothing blue. This color makes people feel relaxed as it reminds them of the ocean and water, which are both relaxing things to be around. You will feel more peaceful and calm when you are around blue. It's been said that blue is excellent for when you are feeling stressed. You can sit in a blue room and will find you will be able to breathe much easier and your heart rate will reduce. Therefore, if you have had a really bad day at work, you can sit in your lounge and you will soon feel your mood lifting. If you have a choice of blue colors to decorate, you should opt for a sky blue. This is a great soft shade which will really help you to feel calm. Blue is an excellent choice for a living room. It's great when the sun shines in as it will look really light and open. You can get some great accessories and furniture in grey or silver which will look ideal in your blue room. You can also opt for a purple and white if you want soothing colors for your room. These both have calming qualities which will help you to relax. Just avoid fiery red or orange which can cause you to feel more stressed rather than chilled when you get home from work.